In Casablanca, the situation of the street artists who wish to perform in the public space is not improving. After the difficulties they faced in 2017 with the authorities of the city, the have succeeded to transform the Nations-Unies square in Casablanca into a space where musicians, singers, clowns and jugglers mixed with each other, bringing happiness to all the users of the place. Few weeks ago, the authorities decided again to ban them, after having received a complaint from the local residents for “noise pollution”. An umpteenth intervention of the authorities agents to stop the musicians from playing on the last 13 November, then to the arrest and the detention of two of them, Badr Mouataz and Mehdi Achataoui, for "outrages and violence against civil servants during the performance of their duties” and "having undermined the authorities in the exercise of their function", accusations that can be punished by 5 years of prison (based on the articles 263 to 267 of the criminal code). Released after their appearance in court on Thursday 22 November, they had been sentenced to one month of suspended imprisonment, despite the fact that the local authorities have withdrawn their complaint against them. Since the announcement of their arrest, artists, activists and citizens participated massively to the social media campaign #free_lfen (free the arts) asking for their release. 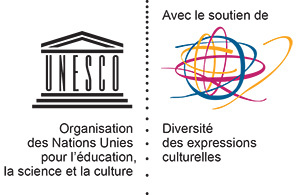 Some international organisations that defend the freedom of creative expression, such as Artists at risk connection, also shared the campaign. 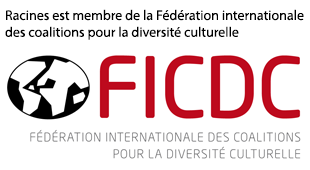 Since 2016, Racines, which one of the missions is to defend the right of artists to access the public space, launched the project FADAE (Free Access and Diversity for All and Everyone), wich is a campaign of advocacy for the free access to public space for all citizens (artists, minorities, collectives…). This advocacy is based on a national petition, still open for signature, to be submitted to the Chief of Government (in compliance with the Dahir n 1-58-377 of 3 joumada I 1378 (15 November 1958) related to public demonstrations).